We are involved in offering a complete collection of Printed PP Bag to clients. Our accomplished craftsman designs these bags using finest grade material and advance technique in conformity with the quality principles. Our offered range bag can be purchased by customers at reasonable rates. Valued for the Manufacturing and Supplying a broad collection of quality products, we Skyno Polyfab started our operations in the year of 2013. 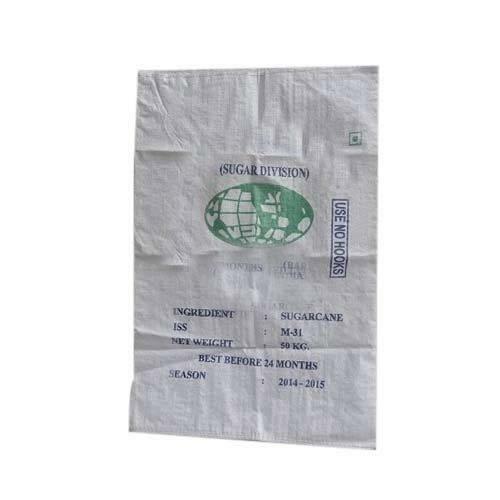 In our product variety we are offering finest quality BOPP Roll, BOPP Bag, Cement Bag, PP Bag, Fertilizer Bag, Leno bag, Sugar Bag, Un Laminated Bag, Circular Fabric, PP Woven Fabric, Flexo Printed Bag, Tarpaulin Bag. Our offered collection of products is designed in tune with the industry approved standards and norms at our well designed developed unit. The provided products are extremely demanded for their optimum strength, superior quality and spaciousness.